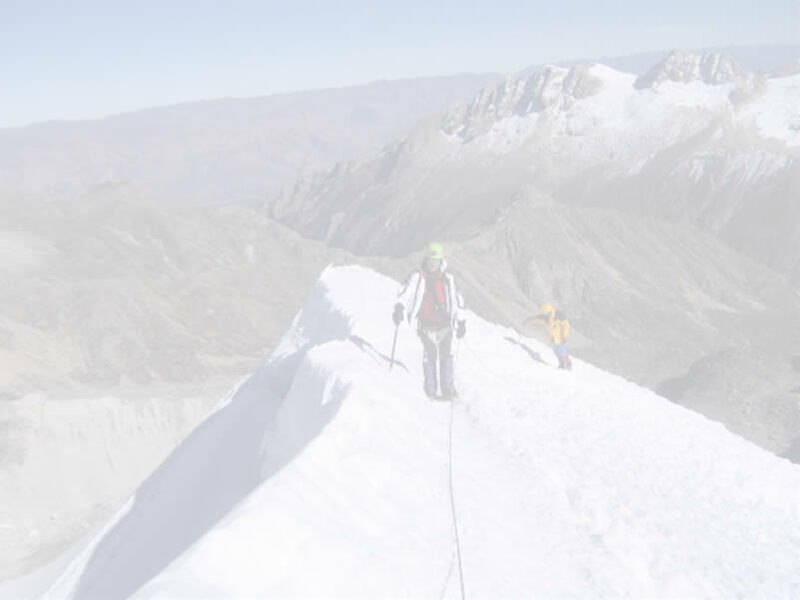 Winter mountaineering instruction for those who want winter mountaineering training at a higher level - perfect for those with Denali goals or other mountaineering goals outside of California. This extended 5-day itinerary allows more time to be spent in the winter environment and more time to learn valuable climbing skills. 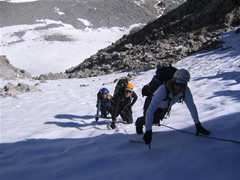 This technical climbing course is conducted in California's alpine wonderland of the Sawtooth Range near Bridgeport. We begin in the front country with a day of waterfall ice climbing and then spend 4 days backcountry in the Sawtooth Ridge area of the High Sierra. 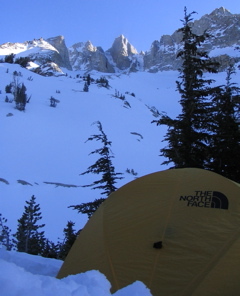 Includes a summit attempt of the Dragtooth or Matterhorn Peak on the spectacular Sawtooth Ridge via a technical climbing route involving the use of ice axe, crampons and rock scrambling skills. We provide everything you are going to need except for your own clothing. That includes winter boots, winter sleeping bag and pad, backpack and snowshoes. Learn the right way to winter mountaineer. View the Itinerary for this course. 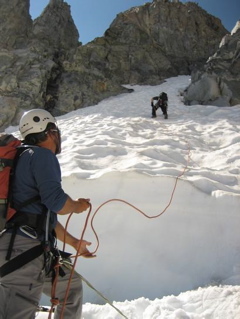 For more California alpine climbing & mountaineering courses check out our main Alpine Climbing / Mountaineering page. Location: Sawtooth Range - Bridgeport, California, East Side of the Sierra. Only 4 1/2 hours from the S.F. Bay Area and and one hour north of the resort town of Mammoth Lakes. For area information view our Bridgeport Travel Page. Prerequisites: No previous winter experience required. 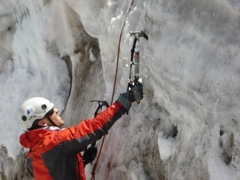 Previous ice axe and crampon experience is preferred but not required, or one of our intro to mountaineering courses. Previous backpacking experience required. Snowshoeing experience is helpful but not necessary. Give us a call if you have a question. Professional mountain guides at a 1:3 guide to guest ratio. Group camping equipment, such as tents and cooking equipment. Sleeping bag and pad, backpack, snowshoes and winter boots if needed.